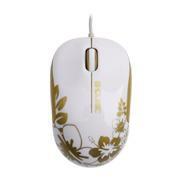 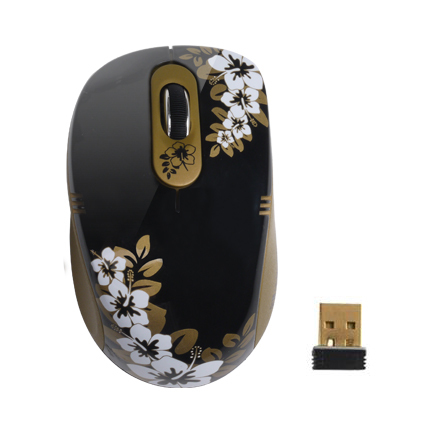 Add a touch of elegance to your computer peripherals with the Golden Aloha 2.4GHz Wireless Optical Mouse. 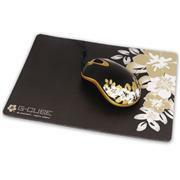 The alluring designs will bring a sophisticated look to your desktop or notebook computer. 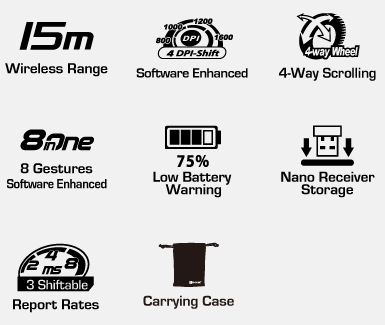 Ultra-Far Wireless range ensures more operation freedom. 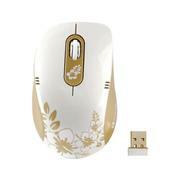 Instantly shifts mouse report rate between 8/4/2 ms for power saving and delivers smooth, accurate cursor control. 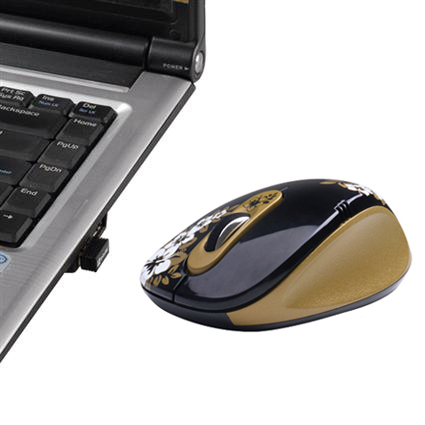 Automatically detects and secures available channels in the busy public 2.4GHz universal bands. 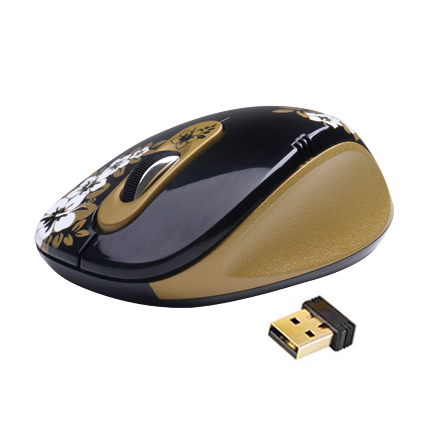 Error correction capability speeds up data transmission without delay and increases wireless precision. 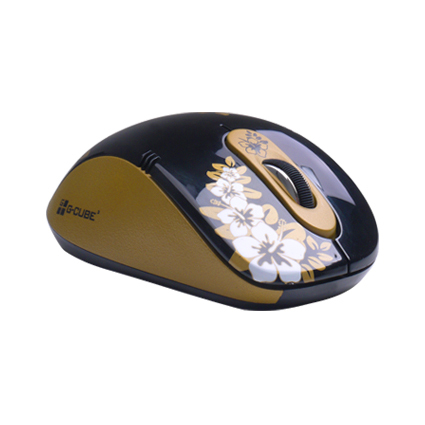 The mouse allows you get 8 functions on “ Right ” button.